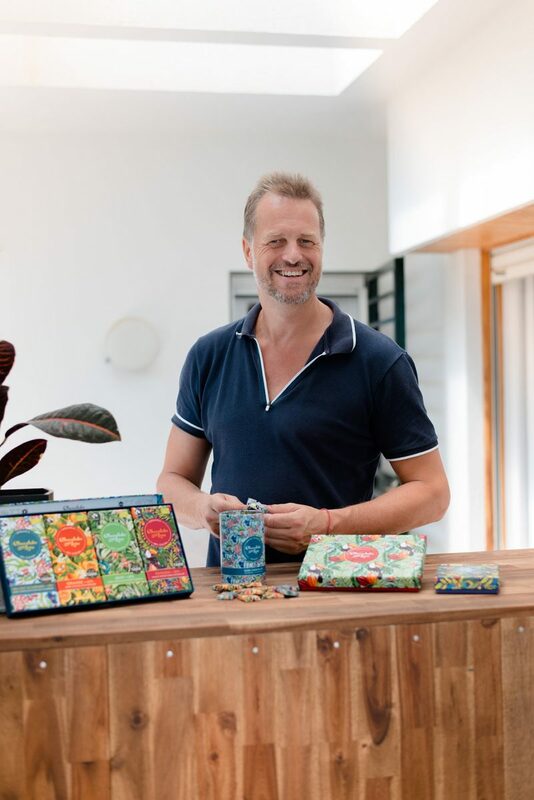 When Scotsman and chartered surveyor Richard O’Connor fell in love with Danish lawyer Birgitte Hovmand, they decided they wanted their new life together to be a collaborative “eco-chic” adventure. Both had worked for many years in the rainy climes of London and Copenhagen, and the dream was to start a company that was ethical and could be run from a laptop on the beach. After several years exploring cities as far flung as Cape Town and San Francisco, Mallorca’s proximity to family and idyllic climate is where the couple finally landed in 2003. Home became the sunny neighbourhood of Cas Català, just minutes from the sea. Meanwhile, O’Connor did extensive research to find out what business would allow them to work remotely and fulfil their desire to create a business that they could feel proud of. He approached the possibilities from a marketing perspective. What items do people buy consistently over a lifetime? Where is there room in the market for items that are passive income generators and can be run from Mallorca? The answer was unexpected: chocolate. Economists coined the term ‘lipstick effect’ during the Great Depression, which refers to recession-proof indulges – small luxuries that rise in demand during times of tightened strings and collars turned. Other items considered recession proof are mascara, pizza delivery, camping gear, cushion covers, and wine. Chocolate, however, was the only indulgence that was consistently growing in sales during the 2008 economic downturn. The reason could lie in the naturally occurring chemical in chocolate, tryptophan, which releases serotonin much in the same way the feeling of being in love does. A daily dose of 70% dark chocolate is even meant to be good for you, according to studies. It’s the added sugars and fats that can counter the benefits. Taking this into consideration, O’Connor and Hovmand set out to make a traceable, high-cocoa content, chocolate for the masses. In 2010 the aptly named company, Chocolate & Love, became the couples’ passion project. Hovmand and O’Connor approach chocolate in a similar way to making a good whisky. They avoid blending chocolate from any more than two origins and use less sugar to achieve a healthier, and more flavourful, chocolate bar. “Our goal is to be a daily bar as opposed to a weekend indulgence. A bar you feel good about eating, that is affordable,” says O’Conner. 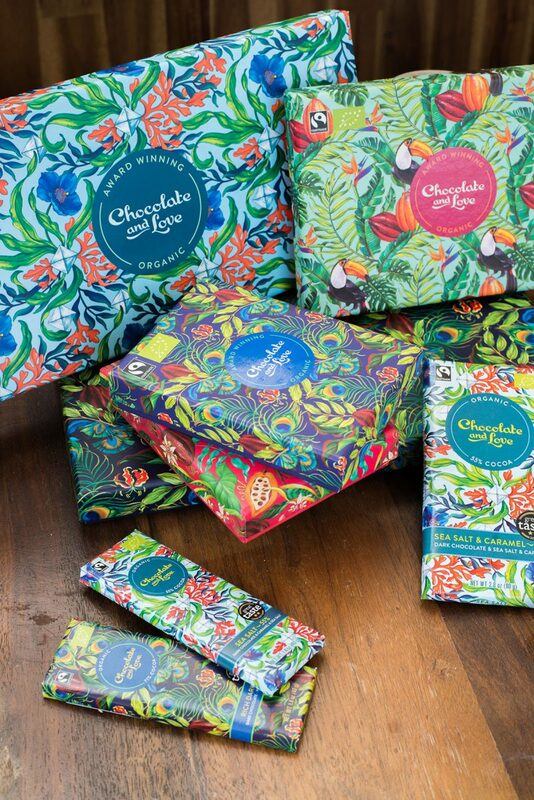 Chocolate & Love insist on transparency in sourcing their cacao (as opposed to ‘cocoa’ which is the processed form) to support fair trade organisations. Much like wine and coffee, cacao production relies on physical labour in developing countries around the equator for growing and picking the cacao beans – so Chocolate &Love source cacao, cane sugar, vanilla and coffee for their bars directly from certified 100% organic fair trade cooperatives in Panama, Peru, the Dominican Republic and Madagascar. 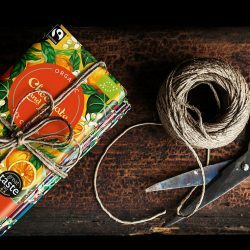 The company is also a strong supporter of reforestation charity Weforest.org and uses only sustainable wrappers and packaging. O’Connor waxes poetic about depth of flavours in the Panama 80% Single Origin Chocolate Bar and fruit notes in the 70% Pomegranate Dark Chocolate Bar, using the same language to describe the eight different chocolate bars they produce that a wine connoisseur might to discuss good vintages. 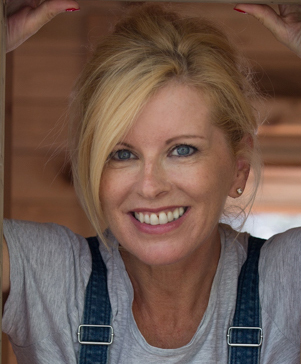 “We want to educate people about chocolate in the same way [winemakers do],” O’Connor states. And we are happy to indulge him in this, and sample a few of his delicious bars…for education’s sake, of course.